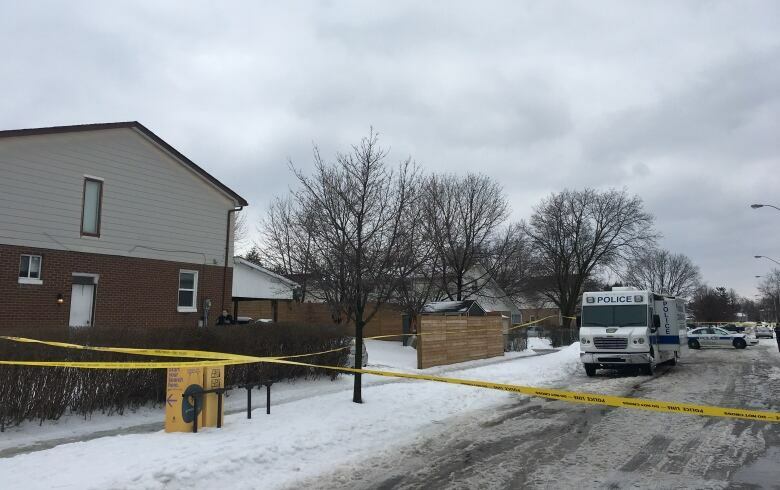 A man who had picked up his 11-year-old daughter to celebrate her birthday has been charged with first-degree murder after her body was found in his basement apartment following an Amber Alert, police in Brampton, Ont., said Friday. Roopesh Rajkumar, 41, was arrested after the alert was issued around 11 p.m. ET Thursday in the search for Riya Rajkumar. Her body was found about an hour later in his apartment in the city, which is about 30 kilometres northwest of Toronto. Peel Regional Police Const. Danny Marttini said Riya's mother initially contacted police to report her daughter hadn't been returned to her at the agreed time of 6:30 p.m. Riya did not live with her father full time, police said, but had been dropped off at a gas station in neighbouring Mississauga at around 3 p.m. so he could take her out to celebrate her birthday. Her mother had received concerning messages from Roopesh, her former boyfriend, that indicated he intended to hurt himself and their daughter. Riya's mother was also celebrating her birthday on Thursday, police have confirmed. "She came in already fully concerned saying, 'This is what he's saying to me, I'm concerned for the well-being of my daughter, I need some help,"' Marttini said. "Obviously our investigators took action right away." Police went to Rajkumar's home at around 7 p.m. and knocked on the door, but his car was not there so officers moved on with the search. After several hours of fruitless investigation, an Amber Alert was issued but cancelled after officers found Riya's body inside the home, Marttini explained. Officers did not knock down the door into Rajkumar's home sooner because there was a lack of evidence to suggest that Riya could have been inside, Marttini later added. 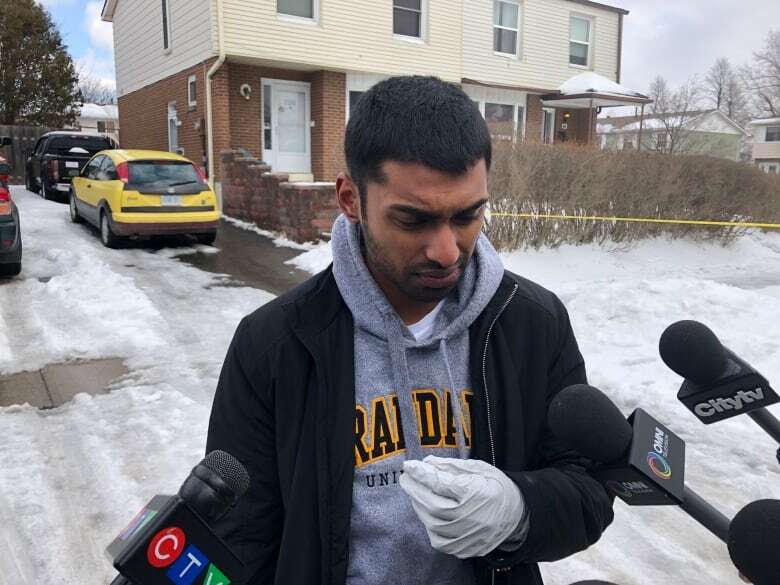 Rajkumar was arrested by OPP on Highway 11 near Orillia, about 130 kilometres north of Brampton, around midnight, after a caller reported seeing the silver Honda Civic described in the Amber Alert. Police identified a "medical concern" with the suspect following the arrest, though Marttini did not provide further details about his condition. Rajkumar was then taken to a hospital for treatment, and has since been transferred to a different trauma centre. He will appear in court once he is medically cleared, police said. Rajkumar has remained in police custody throughout the process, Marttini said. "My heart aches for this family and as a parent, I can't even begin to imagine what the mom is going through," Marttini said. Police officers who took part in the search are also dealing with emotional distress. "Officers were close and nearby, and I think a lot of them were really affected by the fact that they were actively searching for this girl, and this is the outcome that we're now dealing with," Marttini said. Following news of of the death, members of Rajkumar's family expressed their shock while remembering Riya as a positive, smiling young girl at the centre of the family. "She was like the princess of the family. I loved her," said Ryan Ashad Alli, Roopesh Rajkumar's cousin. He was outside Rajkumar's residence picking up items belonging to his brother, who lived in a separate apartment at the same address. "She was such a sweet little girl," said Rajkumar's aunt Nancy Ali. Ashad Alli told reporters that Rajkumar has no prior history of violence or mental health issues, which has made the incident all the more shocking. Rajkumar worked two jobs, Ashad Alli said, though he didn't know where. "He was always a cousin to look up to. You just never expected this to happen," he added. On Friday morning, Riya's elementary school sent an email to families to tell them counsellors would be on hand to support her friends and classmates for "as long as they are needed." "This tragedy has brought tremendous sadness to the students and staff at Meadowvale Village Public School," the email read. "She was extremely vibrant, sparkling personality — very well liked. A great academic as well," added school board spokesperson Carla Pereira. Staff at the school have set up a memorial for Riya in the foyer. Several people stopped by the scene outside Rajkumar's Brampton home to leave flowers and pay their respects. Emmanuel Okafor, who lives nearby, paused near the home, clasped his hands and said a silent prayer. "I pray to God the family lives through this," he said. "No family should ever go through this ... It breaks my heart." Okafor said he followed the situation closely after the Amber Alert was issued. "It's senseless. We were really hoping last night she would be found alive, not knowing this morning we'd have this tragic news." Christopher Willis, who also lives nearby, said the neighbourhood was stunned by the news. "It's shocking to know this could happen close to home." Willis said the story has particular resonance for him as the father of a three-year-old girl. "It just seems impossible." Jennifer Fuller, who has a daughter around the same age as Riya, laid flowers on a snowbank near the home. "It's sickening and it's sad," she said. An Amber Alert is a special bulletin issued (on cellphones, television and through other forms of media) when someone under 18 is abducted and believed to be in imminent danger. In order to meet the criteria for an alert, police must also have a description of either a suspect or a suspect vehicle. 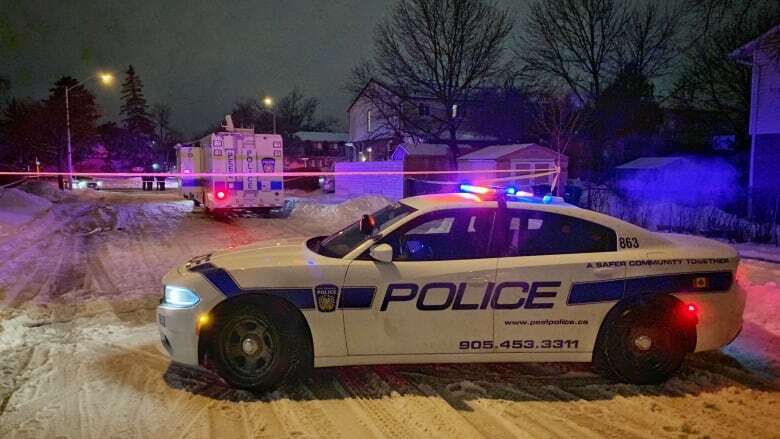 Communications officers with Peel police revealed on social media that the force had received a series of complaints from residents that the Amber Alert was issued at a late hour. Our communications bureau is receiving numerous calls to 9-1-1, complaining about the late hour of the Amber Alert. As a direct result of someone receiving the alert, we were able to locate the suspect &amp; his vehicle. The system works. Thank you to all those that called with tips. "I can't even begin to describe how disappointing and upsetting it is to read the comments, emails and calls to our communications bureau complaining about receiving an Amber Alert late at night," wrote Const. Akhil Mooken on Twitter. "I appreciate that a lot of people were sleeping, but the immediate need to locate the child outweighed the momentary inconvenience that some people encountered," he continued. "Tragically this incident did not have the outcome we were all hoping for but the suspect was located as a direct result of a citizen receiving the alert and calling 911. The system works."